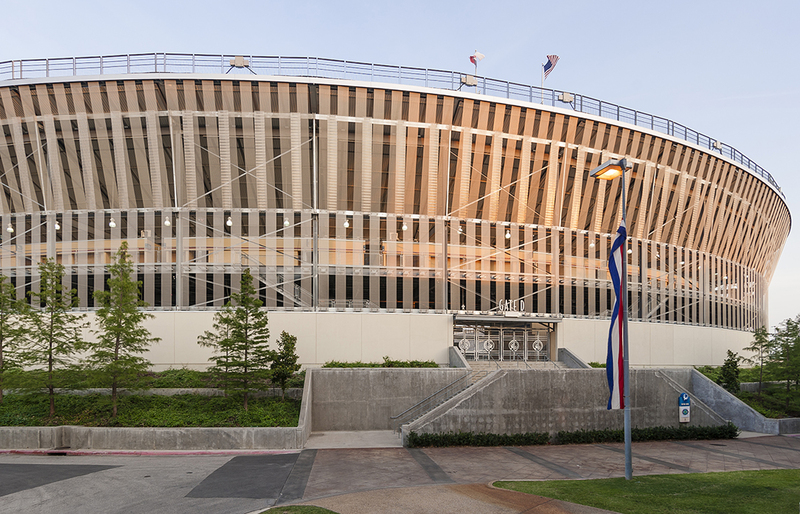 A new skin garnishes the stoic concrete and steel exterior of Dallas’ historic Cotton Bowl Stadium in Fair Park. The design firm James Carpenter Design Associates won the Dallas-based competition with their proposal, Light Veil. 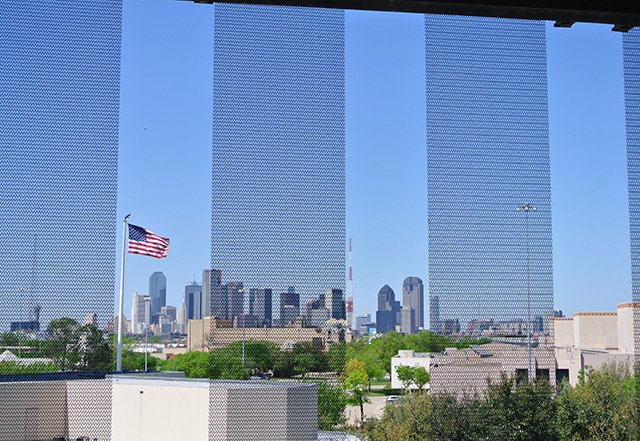 It consists of 352 mesh metal ribbons of varying lengths and opacity which bring a fresh aesthetic to the Dallas icon. As the name suggests, the permanent installation modulates light, offering different porosities of view, depending on the sun’s angle and intensity. To achieve this appearance, two mesh types were used; each has a unique woven density to affect opacity. Central to the designer’s concept, the vertically draped metal ribbons simultaneously create a sense of enclosure and visual airiness. 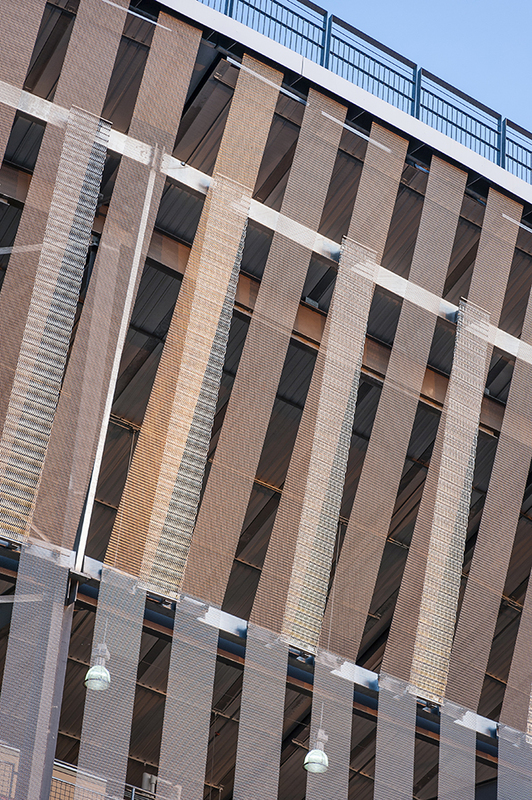 The mesh grafts are elegantly fastened to the superstructure by means of an invisible attachment system, further promoting the general aesthetic. After more than 80 years of visually anchoring Fair Park, the Cotton Bowl Stadium is undergoing a $57 million renovation. As our city’s built environment ages, it’s imperative that we examine similar measures to preserve and rejuvenate urban character rather than simply replacing it. In this way, a running dialogue is allowed to continue; voices from the present layer over architectural intentions of the past and a visual conversation is recorded through built form. Humans seek culture and heritage in a city, qualities most often released by time and viewed through a modern lens. Perhaps Light Veil gives the city just that. 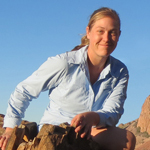 Lindsay Brisko, Assoc. AIA is a project coordinator at Good Fulton & Farrell Architects.